The Pound Australian Dollar (GBP/AUD) exchange rate rose this morning, and the pairing is currently trading at an inter-bank rate of AU$1.8466. Early during the Asian session, the Reserve Bank of Australia (RBA) left interest rates unchanged at 1.5%. In the April policy statement, it has been noted by economists that the RBA could be adopting an easing bias, signaling a rate cut may be in the future. The Pound (GBP) continued to rise against the Australian Dollar (AUD) despite data released on Tuesday morning showing UK construction PMI was in the second consecutive month of contraction. March’s UK construction PMI posted at 49.7, up slightly from 49.5 in February. ‘Fears that the recent weakness of the UK construction sector may not be just a blip, but a sustained soft patch, were further fueled by latest data. Amid subdued inflows of new work, a first back-to-back decline in output since August 2016 was recorded. […] The outlook was subsequently underwhelming by historical standards, with the unsettled political and economic environment keeping business confidence below its long-run average. On Monday evening the House of Commons voted on four alternatives to the Prime Minister’s Brexit withdrawal agreement. MPs were left in deadlock once again after rejecting all options, including a customs union with the European Union by three votes. In an attempt to tackle the deadlock, Theresa May is due to conduct five hours of cabinet talks on Tuesday. The possibility of a no-deal Brexit weighed on Sterling as the UK is 10 days away from the 12 March deadline. However, this could do little to stop the Pound rising against the risk-sensitive ‘Aussie’. Pound Australian Dollar Outlook: Will the GBP/AUD Fall on a Disappointing UK Services PMI? 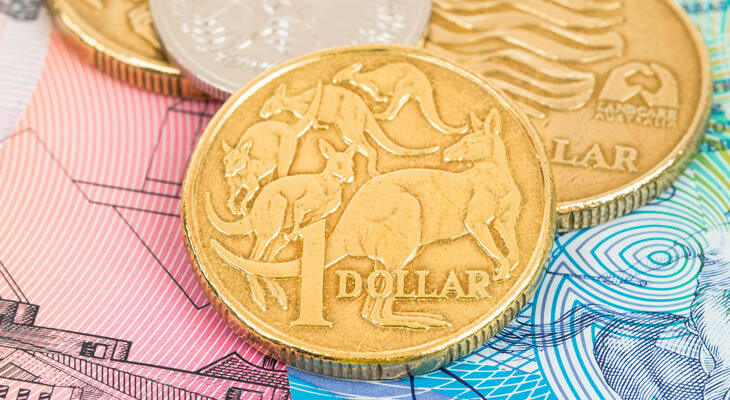 Looking ahead to Wednesday morning, the Australian Dollar (AUD) could rise against the Pound (GBP) following the release of Australian retail sales. If sales in February rise by 0.2% as forecast it could cause an upswing of support for the ‘Aussie’. Later in the day the UK Markit services PMI is due for release which may cause Sterling to slump. If March’s activity in the services sector slips to 50.9 from 51.3 showing slower growth, the Pound Australian Dollar (GBP/AUD) exchange rate could fall.